Trees accomplish more than just adding a little greenery to the Dallas concrete jungle — they affect air pollution, the temperature, and the entire community. With the rising problem of urban heat islands, local organizations are stepping up with big goals. 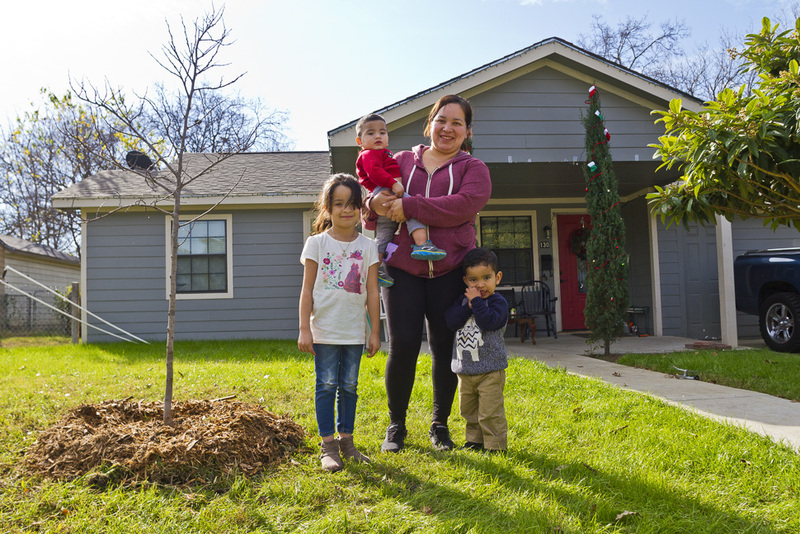 The Cool and Connected Oak Cliff project intends to plant 1,000 trees within the Dallas neighborhood of Oak Cliff — and they’re nearly halfway there. The Texas Trees Foundation, The Trust for Public Land, and The Nature Conservancy joined forces for the project, which plans to plant 350 more trees on Oct. 27. The goal is to have all 1,000 trees in the ground this fall. 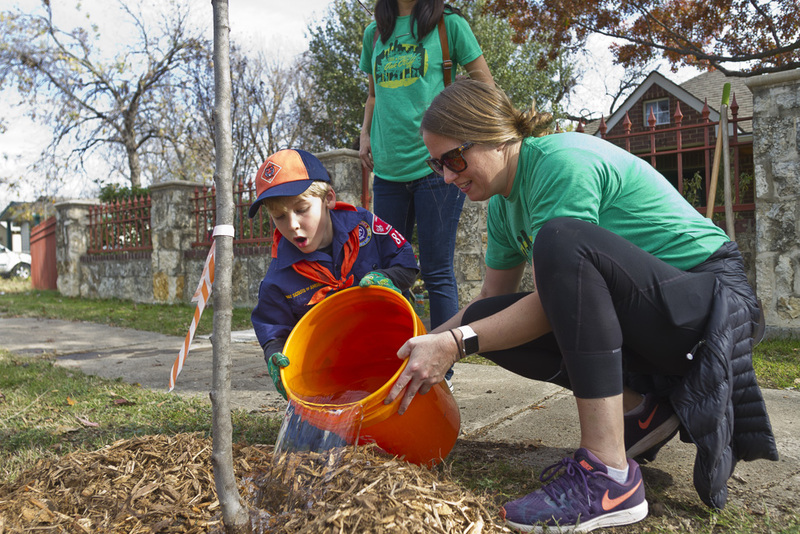 The project took off in October 2017 with the largest community planting day so far happening in April when Oak Cliff community members planted 250 trees. Five hundred trees total have been planted thus far during at least four community planting days. The project has already achieved half of its goal in less than a year. Smart Growth for Dallas has played a major role in bringing the Cool and Connected Oak Cliff project together. Robert Kent, the North Texas Area Director for The Trust for Public Land, utilized data mapping through the program to identify Oak Cliff as “having a high impact on urban heat island” in Dallas. 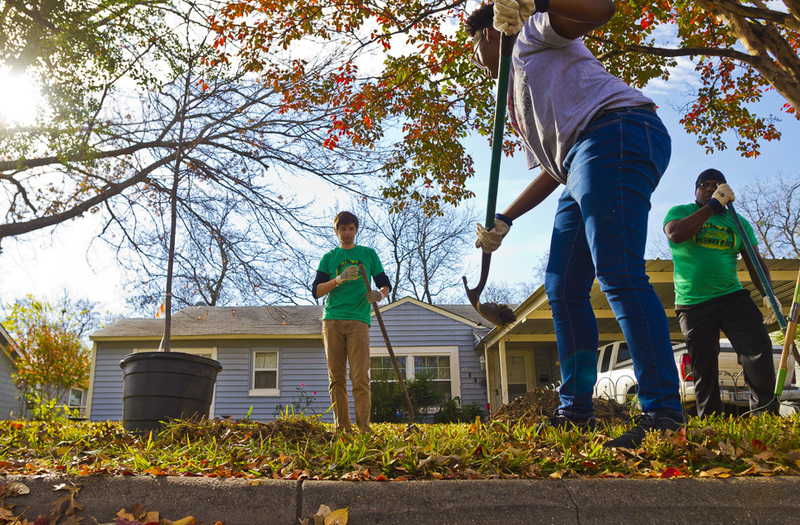 “We’ve basically created a series of maps that identify specific areas in the city of Dallas where interventions such as planting trees can have a big impact on community health, environmental sustainability, and overall resilience,” Kent says. The urban “heat island” effect means that heat becomes trapped in hard surfaces such as asphalt, which raises the temperatures in these areas. The lack of trees in Oak Cliff makes the issue worse, but it does more than just affect the temperature. 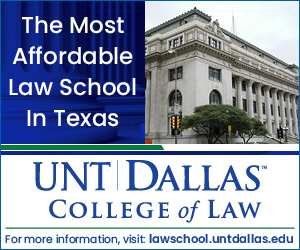 People going out and about in the Oak Cliff area currently poses risks as the DFW area is ranked 16th for high ozone days by the American Lung Association. This project can reduce this ranking significantly by removing an estimated 248 tons of CO2 pollution throughout the lifetime of the trees, according to a release. These organizations are not the only ones pitching in to create a better living environment, according to Kathy Jack, Ph.D., The Nature Conservancy’s Dallas Urban Conservation Associate. “The trees that have done the very best are those that were in neighbors’ yards, where neighbors requested a tree be planted in their yard and those neighbors are really just taking very good care to water their own trees,” Jack says. The Cool and Connected Oak Cliff project is more than just an environmental effort, it’s a community effort, too. After all 1,000 trees have been planted, the project doesn’t end there. The trees will be looked after for the next couple of years as well as there being plans to further expand access to nature. Volunteers are currently needed for a tree planting event on Saturday, Oct. 27. You can learn more and register online here. All photos by Mark Graham/The Nature Conservancy. 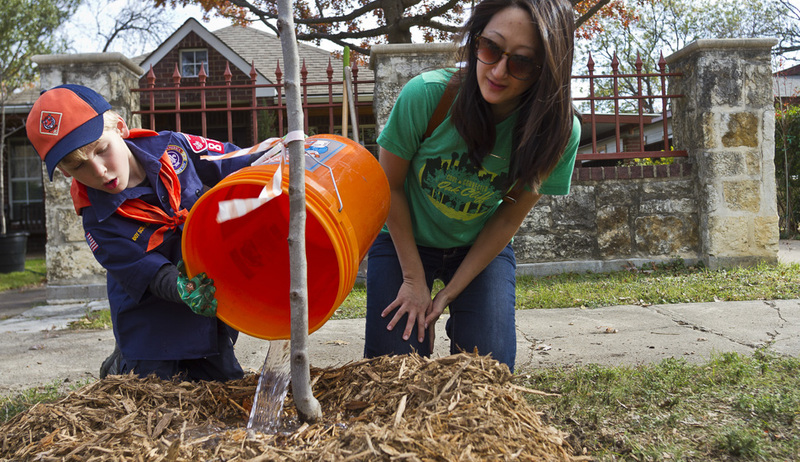 Volunteers water a newly planted tree in a South Dallas neighborhood. A volunteer scout pauses from his digging to wonder at some worms he uncovered while helping plant trees in South Dallas. 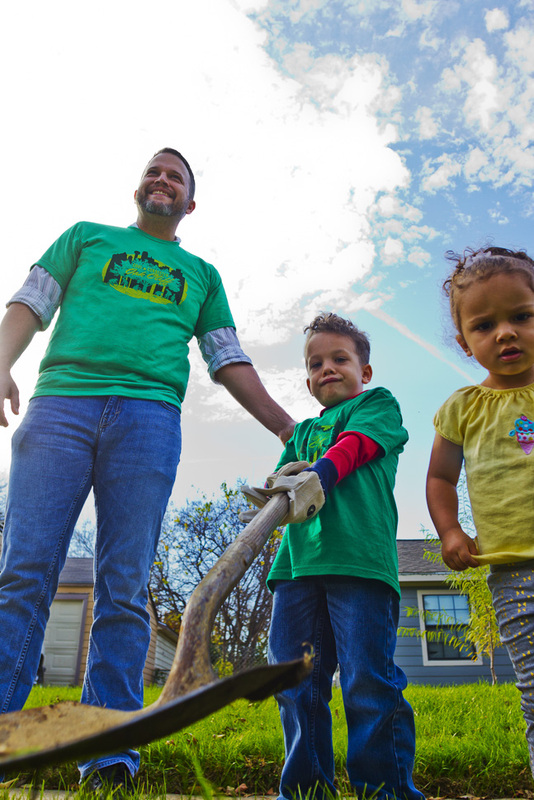 From left: Liam Finney, Alexandria Brown and her father, Oliver Brown, take turns digging the hole needed to plant a tree in a South Dallas neighborhood. 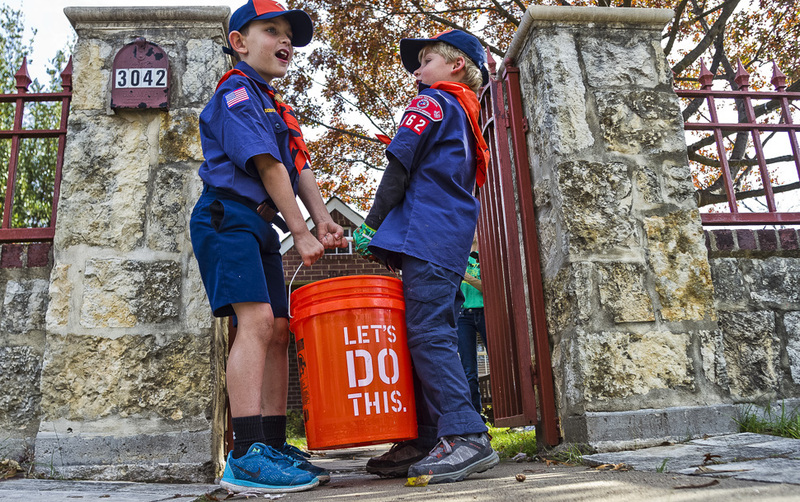 A volunteer scout puts some footwork into helping break loose a tree from it’s container so it can be planted in a South Dallas neighborhood. 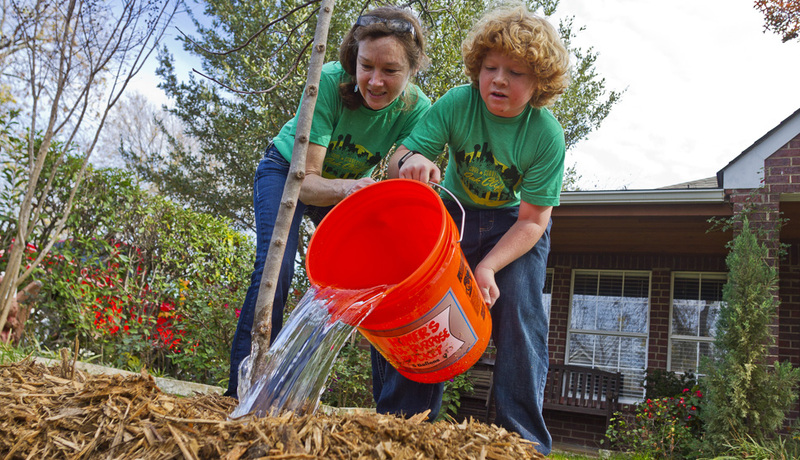 Helping hands watering a new tree planted by volunteers in a South Dallas neighborhood. James McGuire with his son, Carter (4) look on as instructions are given for the tree planting in South Dallas. 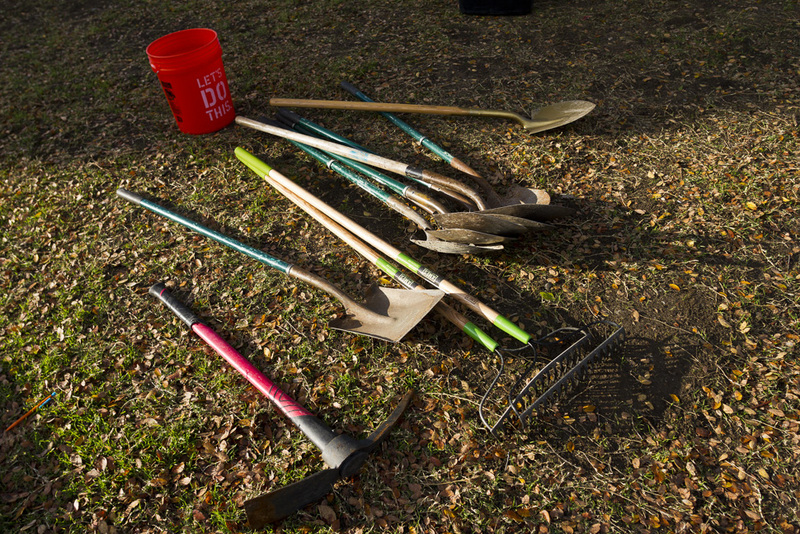 Tools that the volunteers will use to plant trees in South Dallas. The Leals in their front yard with the tree that was planted for them. From left: Maritca (6) mom Adriana, Daniel (1) and Mario (2). Watering a newly planted tree in a South Dallas neighborhood. Volunteers watch as they are shown the proper way to plant a tree.